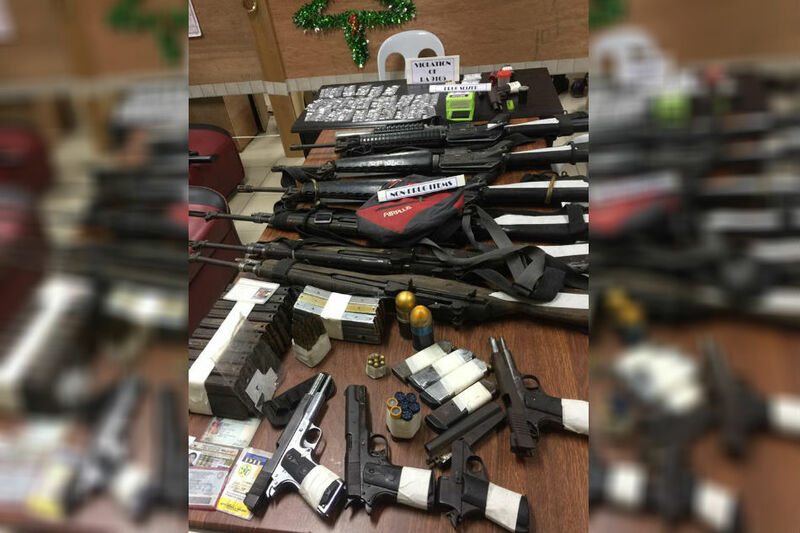 MAGUINDANAO, Philippines - Nineteen people were arrested while several firearms and illegal drugs were confiscated in two separate law enforcement operations in Datu Odin Sinsuat Wednesday. Combined elements of the 1st Mechanized Battalion of the 6th Infantry Division and the Philippine Drug Enforcement Agency-ARMM conducted the operation in barangays Tapian and Kusiong. The operating team was armed with two search warrants issued by Regional Trial Court Branch 13 Judge Bansawan Ibrahim against Aya Balabaran, alias ‘Commander Biente’, and ‘Commander Lame’ alias 'Commander Lawin’, a barangay kagawad in Tapian and an alleged member of the Moro Islamic Liberation Front. Aside from the two, 17 others were apprehended. "Sila yung nag co-control ng drug trade sa area. Matagal na rin natin minanmanan ang mga yan," said one PDEA agent. Authorities also seized a total of 100 grams of suspected shabu with an estimated market value of P400,000 to P500,000 in the operation. The team also recovered high-powered firearms, assorted magazines and ammunition. The suspects will be charged with illegal possession of firearms and ammunition and violation of the Comprehensive Dangerous Drugs Act.